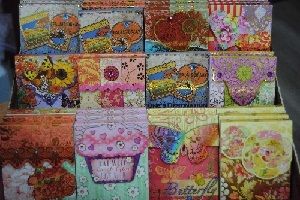 Have you seen these precious little notepads at Hobbysew? Embossed memo pads just perfect for keeping in your purse. Too gorgeous to choose just one! Hobbysew Belconnen is very proud to offer a full day workshop with LYNETTE ANDERSON, one of Australia’s great designers. www.lynetteandersondesigns.com.au Lynette’s love affair with textiles has led her to designing her own patterns, fabric and accessories, full of folk art whimsy. 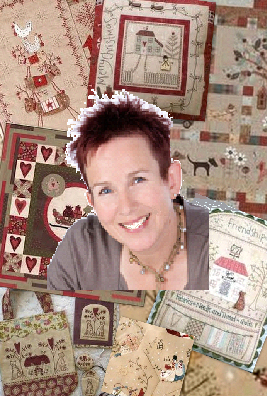 She has published several books of projects that combine quilting, stitcheries, appliqué and embroidery. 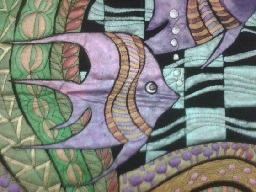 Lynette is well-known internationally as a teacher who showcases her designs at quilt shows around the world. Book for either Saturday February 16th or Sunday February 17th. The full day workshop is $130 and includes tuition, starter kit & catering. Ph 02 6253 0011 – limited places available. 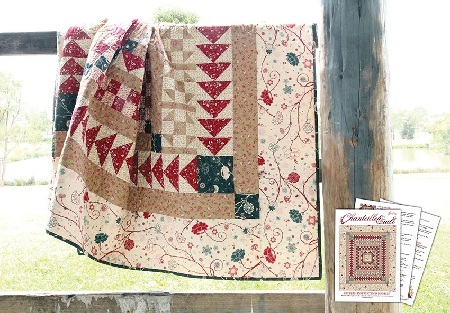 Patterns are now available to make this charming quilt using fabrics from the Sew Easy ‘Chanteille’ range and traditional design motifs. Designed to reflect the gentle warmth of a country home. Diary Note:- Saturday 19th January is “Meet the Teachers Day” at our Kings Park store. You can meet some of the teachers for this year’s class programme and view their work currently hanging in store. Plenty of good specials have been chosen to tempt you, too. Everyone is just bursting with excitement! Did you miss out? Well, if you hurry we can squeeze in just a couple more people, but you’ll have to be quick. Ph Tracey on 02 9831 2111 (Mon-Fri) to put your name down and join the fun. Huge Christmas fun at Figtree Show & Tell. Lots of oohs and ahhs, chuckles and laughs. Now that’s how we celebrate Christmas at Hobbysew! All our classes are now up online and open for bookings. You will find some of our popular classes on offer again and some new workshops on which to try out your creativity. Plenty of options for learning and fun! These are the classic scissors every sewing enthusiast would love to own. Stylishly designed and beautifully balanced for precision, they are a delight to use. 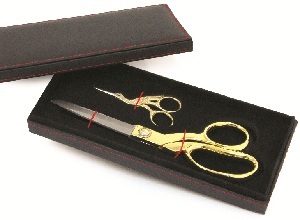 Embroidery scissor gift boxes are also available so why not puchase a gift set from Hobbysew for someone special. Pieced blocks for quilting must be sewn together exactly and for this reason templates must be accurate. 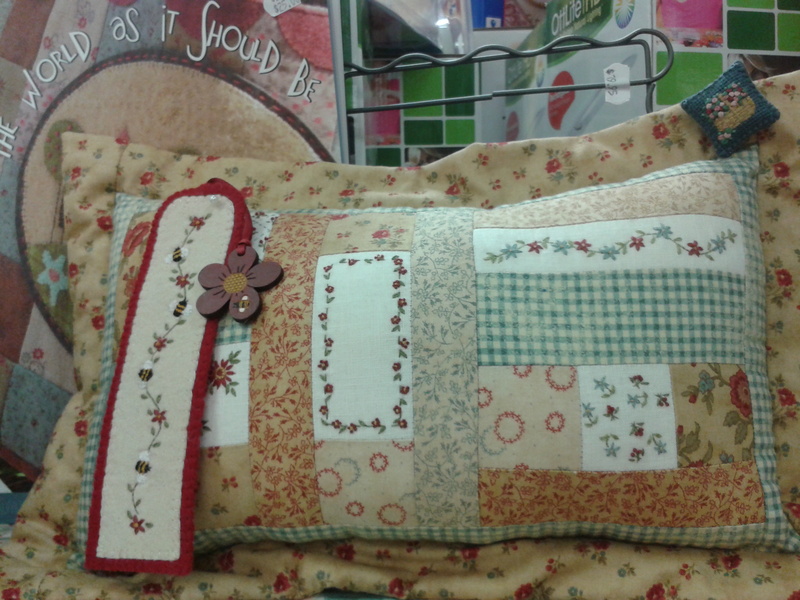 Sew Easy have a range of ready made templates in different shapes and sizes. However, if you prefer to make your own, Sew Easy Template Plastic is preferable to using other materials such as cardboard, which tends to wear on the edges and become less accurate with use. Sew Easy template plastic comes either gridded or plain and is easy to cut. You can mark measurements and direction with either pen or pencil to ensure correct positioning for cutting. Sew Easy template plastic is also non-slip, and will not easily move out of position on your fabric. Sew Easy plain template plastic is also brilliant for making applique shapes.